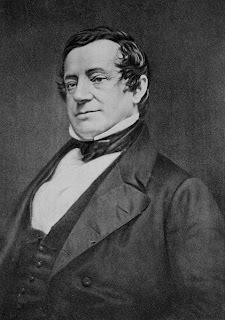 Washington Irving (April 3, 1783 – November 28, 1859) was an American author, essayist, biographer and historian of the early 19th century. He was best known for his short stories "The Legend of Sleepy Hollow" and "Rip Van Winkle", both of which appear in his book The Sketch Book of Geoffrey Crayon, Gent. His historical works include biographies of George Washington, Oliver Goldsmith and Muhammad, and several histories of 15th-century Spain dealing with subjects such as Christopher Columbus, the Moors, and the Alhambra. Irving also served as the U.S. minister to Spain from 1842 to 1846. He made his literary debut in 1802 with a series of observational letters to the Morning Chronicle, written under the pseudonym Jonathan Oldstyle. After moving to England for the family business in 1815, he achieved international fame with the publication of The Sketch Book of Geoffrey Crayon, Gent. in 1819. He continued to publish regularly—and almost always successfully—throughout his life, and completed a five-volume biography of George Washington just eight months before his death, at age 76, in Tarrytown, New York.